We finally have a name! 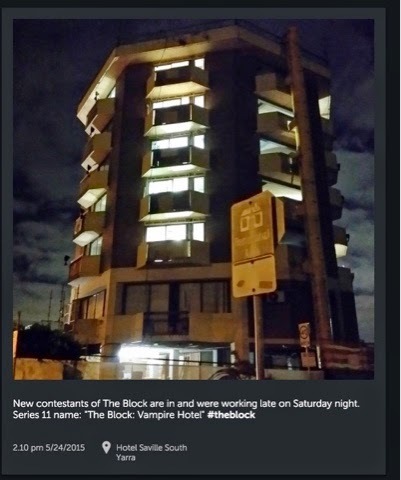 Thanks to G Major on Instagram we now know that The next Block season is called The Block Vampire Hotel. Please discuss your thoughts of this on the forum. More Saville Pics Part 2! The Block Vampire Hotel Contestants Leaked! Red team win first Reno Rumble reveal!